Installing rain gutters on your roof is a convenient way to manage rainwater. This ensures your home doesn’t face any damage because of the excess moisture, such as molding or rotting. However, most homeowners in San Antonio are apprehensive about this because rain gutters can obstruct the visual appeal of their home. It is hard to find gutters which go well with the exterior appearance of your home but there is a solution: seamless gutters. There are a couple of reasons why seamless gutters can easily get the job done. Seamless rain gutters are installed in a single piece but sections of the gutter can be altered to suit the dimensions of your roof and the area you want them installed in. This way, they don’t look out of place. Secondly, they don’t look out of place on your roof. The perfect fitting and installation will ensure the gutters make your home stand out rather than curb its aesthetic appeal. 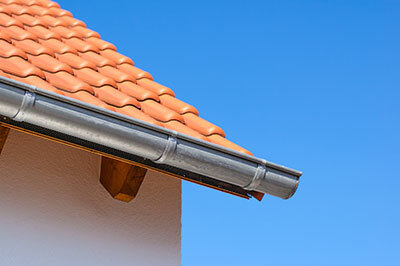 At San Antonio Rain Gutter Pros, we specialize in the installation, repair and maintenance of seamless gutters. In our experience, these types of gutters are the best choice for homes in this region as they have a minimalistic appearance which doesn’t jar the overall appearance of your home. Moreover, we have the experience and expertise to install rain gutters perfectly at the first attempt, ensuring the sections are in place. This way, we help you preserve your home and keep it in good shape while preventing erosion in the soil around your home. We are a team of professional seamless gutter installers, with the right tools and skills necessary to get the job done right. The gutters we install prevent the rainwater from seeping into the walls of your home and causing damage. We ensure the water flows to a proper absorption area. We ensure an adequate number of hangers are used to keep the gutters in place to prevent any damage to the gutters and also make sure the water flows properly through them. We use the best quality materials and products to install the seamless rain gutter so they serve your purpose for a number of years to come, not just for a couple of years. This way, you get the best value for your money. We will help you select the right seamless gutters and also find the right colors to suit the exterior of your home. This way, the rain gutter appears as an extension of your home, not an add-on. With our professional seamless rain gutter installation and maintenance services, you can prevent rainwater damage to your home’s foundation and also protect the soil around your home. We recommended seamless gutters because of their aesthetic appeal. If you are confused about selecting the right gutters, feel free to talk to our experts. We are more than happy to help our clients in any way possible.